Well Christmas is a few days away and no, I won’t reiterate the true meaning of Christmas or as the cliche goes, ‘the reason for the season’. You know that already! I’m going to do a few posts on this subject because I’m beginning to hear it too often. Honestly, I don’t know where to begin! 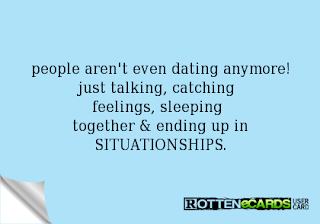 I’ve run into more than a few ladies who are in situationships! And it’s like clockwork, every few months or so they’re asking these men, “what are we doing? where is this going?" These particular men (of course this isn't all men, only a select few) give vague answers if they even answer at all. Ladies, please stop entertaining this foolishness. This is not God’s best for you. If a man truly wants you, he will claim you, period. Nah, I ain’t quoting Harvey or any of those other self-proclaimed relationship experts, I’m just stating fact. 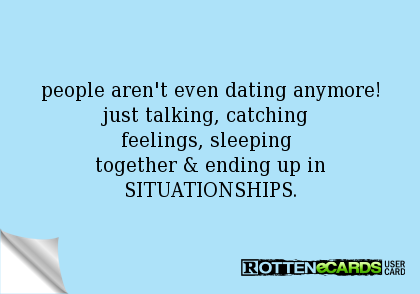 Don’t be confused or fooled by these fraudulent, fake relationships. I’ll go a little deeper in a later post but for purposes of this post so close to Christmas, if he’s not your boyfriend then - Girrrl Stop buying deez Ninjas stuff! You haven’t even solidified if you are in a relationship with this man and you buying him gifts! Why? Let me ask again, why? No amount of money will get a man to commit to you who’s not ready or who doesn’t want to. Period. So stop it! This is what we not gon’ do for 2016!!! -And for crying out loud, put the credit cards away! -Save all that sweet, niceness for someone who really deserves it! So Merry Christmas, Happy Kwanzaa and all that but you better not have one gift under the tree, I don’t care if it’s Umoja or Nia; resolve to be unified with someone who wants to be with you fully and focus on your purpose without your hand in your purse! Yeah I know - You can’t! Ok, that’s all - for now. LAWD!!! Ok,girl! I heard that! Girrrl Don't Stop the Shift!